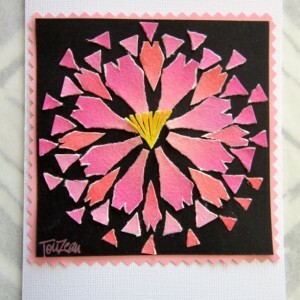 Three unique handcrafted notecards. 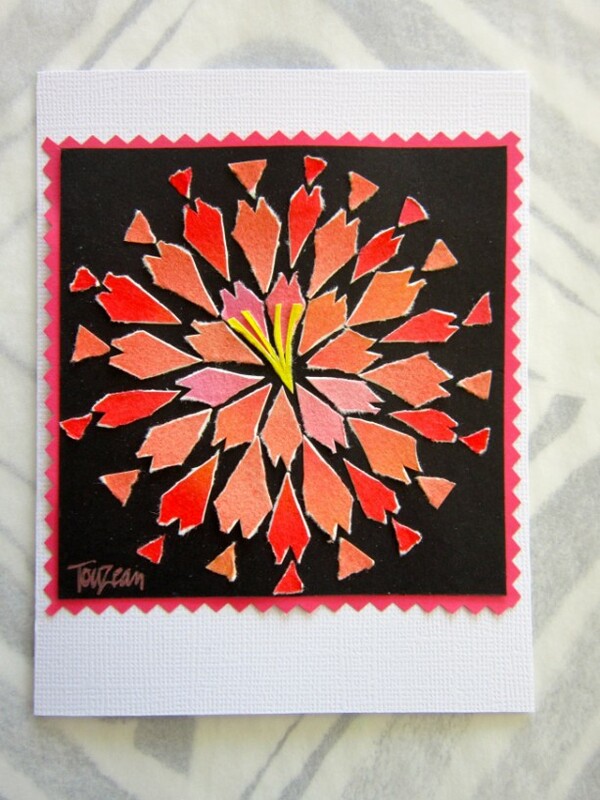 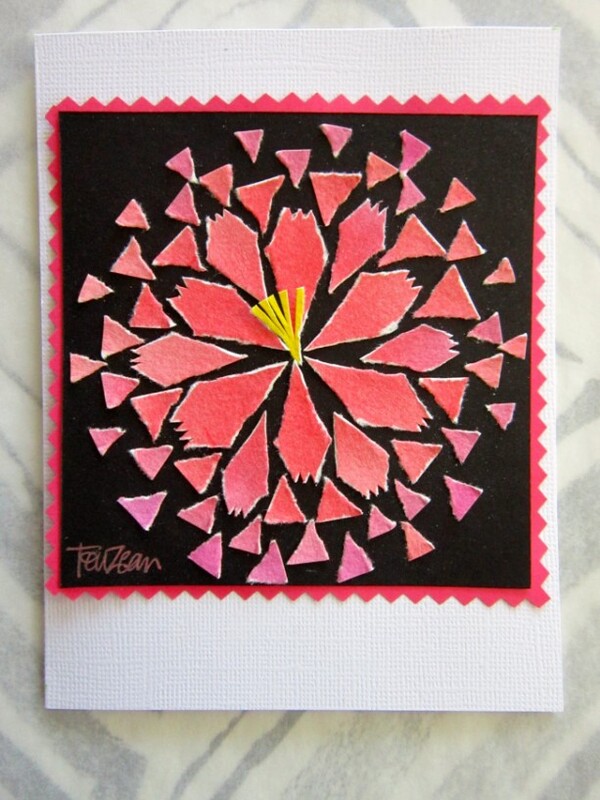 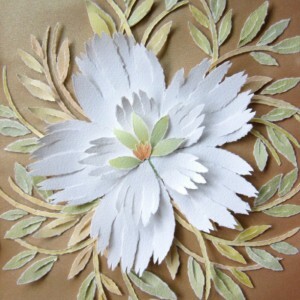 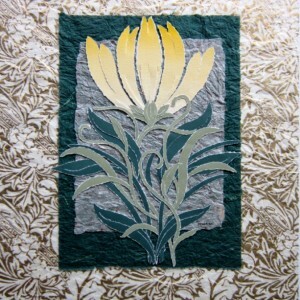 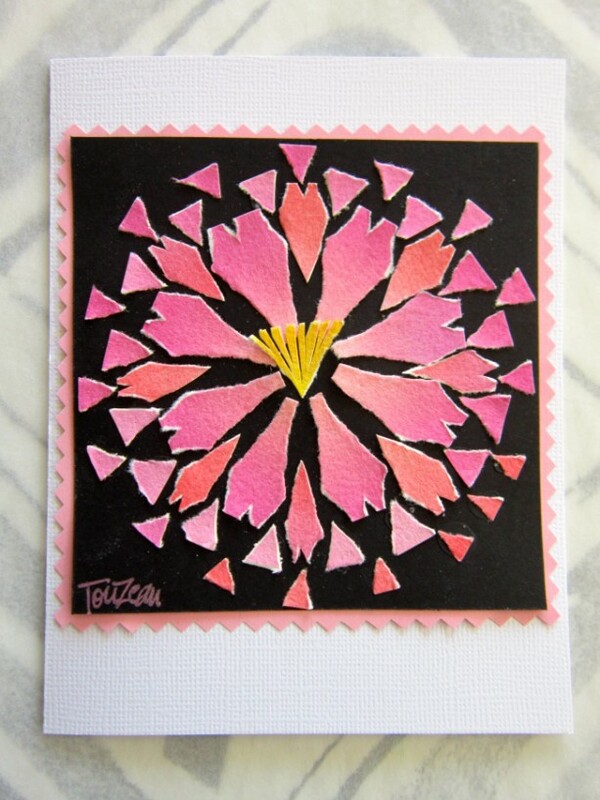 Designs are stylized flowers in bright colors, torn from papers painted with watercolor washes. 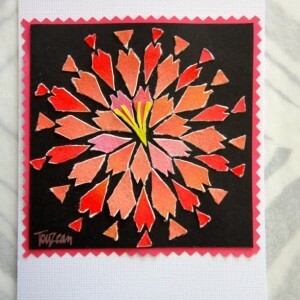 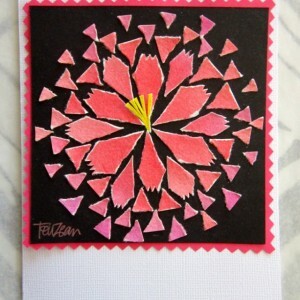 Notecards are 4 1/2 X 5 1/2, each design is original and signed by the artist.